This is so good. Jacqueline Wilson is very talented and I would like to find out what happens with Andy next. It’s sad her parents spilt up though. This book is boring witch was a let down .I am a book worm but this book is not for me I was on page 14 and put the book down I was bored . There was no setting . IT WAS AMAZING/OK. I liked it. is to be back in Mullberry Cottage, happily with her mum, dad and sylvanian rabbit! brilliant! very funny as well! This made me cry, though I love the way the chapters are set out. You have to read this book. I don’t really know why but I didn’t enjoy this book at all. I tried at least five times to read this and still I never could get to the end. I didn’t find this very good but that’s just my opinion of it. My teacher read us this book is golden time it is a really heart clenching story. Jacqueline wilson is a genius! I find parents splitting up so emotional! This book was amazing! Read it! Andy really hasnt got used to her parents divorce and she cant seem to handle it. But in the end she accepts it and learns to be happy with it. this is about a girl who’s parents split up. and she feels squashed in between the two. The suitcase kid is an amazing book! i would give it 5 stars. this book should be read from children age 8-13. It is about a girl and her mum and dad have split up. she doesn’t know where to go. she is just basically living out of the suitcase. Amazing! Very interesting and emotional in lots of diferent ways! I love this book. Jacqueline Wilson is my ALL time fav author. Its a about a girl called Andy and about her travelling to one parent to another after they split up…. REALLY reccomend the book age range i suggest 8-99! I read this book at a very young age and fell in love with it. I love the way it is from the perspective from 10 year old Andrea, who likes to be called Andy, and talks of divorce and being part of a broken family. 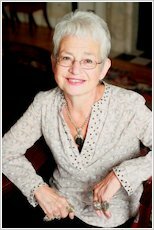 Jacqueline WIlson shares Andy’s inner most thoughts and fears and presents them to her young audience in a language they can relate to. Absolutely love this book! this book was about a girl called anrea andy for short. she has got seperated from her mom and dad cause they broke up but the main part was she wanted to live back at mulberry cottage with radish, her toy sylvanian. Its as Easy as ABC. its nice and realistic like it actually would happen to people i like it it kinda got me hooked in so its good! It’s really addctive this book i have read it three times in two days because it’s so good. This is a brilliant book for ages 8 and over. I really liked this book it was very sad.I loved the way Jacqueline Wilson made the chapters into the alphabet. my favourite book of all time. i love it! ive just started reading this book but love it already. This bookis the funniest book I’ve ever read its exciting but sad at some parts but altogether it’s about a girl named andy whose parents have had a divorce.they all used to live at mulberry cottage.she wants everything to go back to how it was. I love Jacqueline Wilson’s books and this one is just as good as the rest! put this at the top of your book list!! I like this book because I like reading about families where the mum and dad don’t live together as I live with just my mum. It’s a really good story and it was interesting to see what would happen in the end. I love Jacqueline Wilson’s books and this one is just as good as the rest! Andy looks kind of like a boy.She is still a good character. this is a very good and engaging book! This is a really interesting book and I would read it over and over again! Another great book by Jacky Wilson. I think the suitcase kid is an amazing book as it strongly states how much andrea wishes she could go back In time to erase the moment when her parents split.As she had flash backs of mulberry cottage I wondered how she felt about her parents not listening when they argued and I especially like how she’s got a very annoying half sister who she despises.i would recommend this greatly loved book to people who’s parents have split up and they feel alone or to people who enjoy reading books of family problems almost impossible to solve though in the end someone does!! A story which children can really relate too, it can also help then if the have similar problems. it’s really good even though her parents didn’t get back together but a little bit sad about katie and andrea fighting in some pages. I love this book and i just couldn’t put it down! This Book is Wonderful! I Loved It! Hope there’s A The Suitcase Kid 2! arsome and i have red this book at school! when i was in year 4 but now i am year five! LOL!!!!!!!!! Its ok and its really cute when Zoe is born! I LOVED this book! If your thinking to buy it well, You Should! It A very Nice Book. I have read this book and am a Jacqueline Wilson fan! 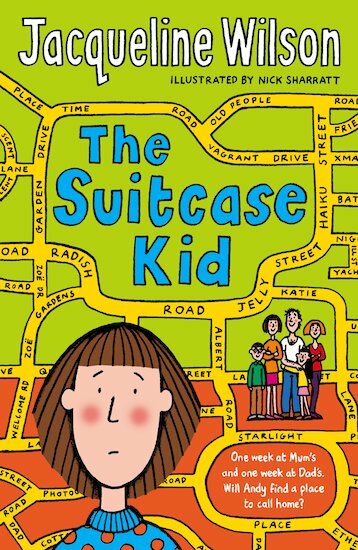 this book is about a suitcase kid that one week at her dads and one week at her mums! I really enjoyed this book! It was very exciting! It was really good. I could really connect with it. THIS BOOK WAS REALLY GOOD!!!!!! The suitcase kid was a book that I could really relate to, and that made me really appreciate the characters and the plot lines and the sensitivity of the story. Thats why I loved this book, because it really felt like it was being written by a child. You could approach all the insecurities like you can with a real child, and I think all children should read it. I could really relate to this book as i move around a lot aswell so i really enjoyed this book and i loved the ending! The suitcase Kid really moved me. It is so simple, yet has a complex plot and a story that immediately made me connect with the characters. When Andy’s mum and dad split up, she is left with a horrible stepsister and lives in two horrid houses. Her toy rabbit Radish accompanies her everywhere, and when they start sneaking back to Mulberry Cottage, who knows what could happen? I know i nearly say this to every book i do a review on but anyway WOW! this book i just loved. It was kinda funny because in my school book it was one chapter and i was already in the middle of reading.It was just GREAT! i loved this book i read it to my my brother and he loved it too i hated katie i cant believe she was so mean to andy i found it sad when she lost raddish great book i would reccomend it to 8-10 year olds. This book is really good it is about choice. And the right choice is sometimes round the corner. i think that this book was excellent! It had emotion, fear, sadness, humour, i felt i was literally drowning in a sea of emotion! This book is about a girl who’s parents have been divorced so she can only live with one she is really upset.I liked this book. This is a good book, which took me an hour to read. It made me think, and I loe her toy bunny! This is a story about a girl whose parents have split up and she has to keep going backwards and forwards to their houses. The parents were always arguing. She has a little teddy rabbit whose called Raddish, she always talks to him. It’s really sad when she leaves Raddish in the garden and goes back for him and he’s not there. When she finds Raddish she never goes anywhere without him. Excellent book. I feel sorry for andy because all she wants is her parnets to get back together. Her dads girlfiend is having a baby and she thinks its bad new,at her mums she has to share a room with her horrible stepsister. I’m glad I don’t have her life. this book if absoulutly faboulase . i love the main character andy.i think she has a nice personality and a great imagination.i love her little salvainian rabbit radish.i would strongly advise children to read it,it is such great fun. i think its good and it relates to some kids’ lives. well i found it lovely but i am only half way through it. i hate the sound of her step sister though she sounds horrible! A great example of some childrens lives and another great story by Jaqueline Wilson. Its a fantastic book! It was sad when Andy missed her house, she went to visit Mulberry Cottage and then lost Raddish, her Sylvanian rabbit. But the ending was happy. Each class i went in at school we had to read and the book was amazing some people were crying because there parents have spilt up, and thought that it might happen to them. :( look at the sad face! it was kinda a sad story… but i liked raddish, andy’s rabbit, and i loved the happy ending when zoe was born!!! I thought it was really long and really good because for all the chapters it had a different letter of the alphabet! !